LAWRENCE — Historians agree that the failure of Tsar Alexander II’s Great Reforms of 1861-1874 put into motion events that set the stage for the Russian Revolution years later. Now a new book attempts to quantify the effect of this national, political and social disappointment on Russian literature. 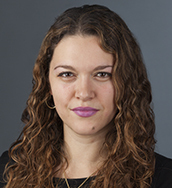 Ani Kokobobo, University of Kansas assistant professor of Slavic languages & literatures, has coined the term “grotesque realism” for some of the important novels of this period. It’s in the title of her new book, “Russian Grotesque Realism: The Great Reforms and the Gentry Decline” (2018, The Ohio State University Press). In the book’s introduction, Kokobobo cites Mikhail Saltykov-Shchedrin’s allegorical chronicle, “The History of a Town” (1870), in which one of the characters, the governor of Foolsville (i.e., Russia), is depicted with his head detached from his body and a music box inserted in its place. Kokobobo cautions modern readers to recall that even if they were ultimately unsuccessful, the dislocations caused by the Tsar’s Great Reforms – most notably the freeing of millions of serfs from slavery and the resultant decline of the aristocracy — were substantial. “It’s like the American Civil War, only instead of having a war, the Tsar just did it,” she noted. Kokobobo said she wanted to show the effect this social ferment had on Russian literature. Kokobobo said she has been thinking about this period in Russian literature for years. Saltykov-Shchedrin’s mechanical-human hybrid is somewhat of an anomaly, Kokobobo said, because generally there is nothing supernatural going on with the characters in the books she writes about. This period marks a change in tone from the important Russian novels that preceded it, Kokobobo argues. 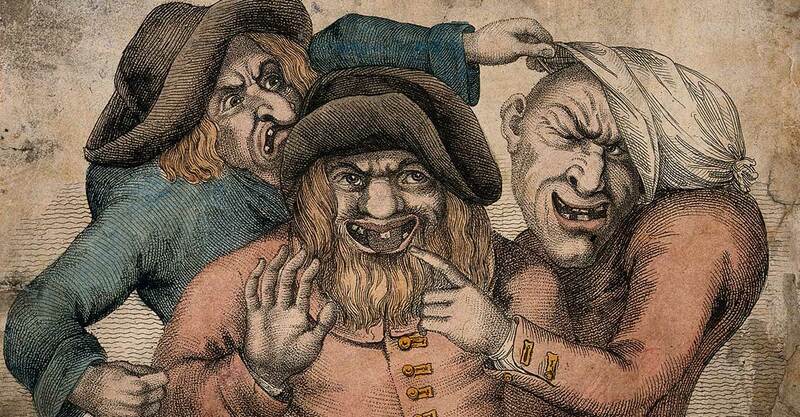 Image: Three grotesque old men with awful teeth pointing and grimacing at each other. Colored stipple engraving by John Collier, 1810. Credit: Wellcome Collection.